I am Such an Exhibitionist! During this last week the exhibition Light, Clay, Colour ended and another one, for the finalists of the Royal Arts Prize started and it has got me thinking about the nature of different types of exhibition and the pros and cons of each sort. Our three person exhibition at Fountain Gallery attracted a lot of attention. We must have averaged about 25 visitors per day with some days being much busier than others. We each sold work, although I think we would all agree that we would have liked to have sold more, but at a self invigilated show such as this, at least we keep what we make. There is no gallery commission and that has to be a huge bonus. Preparation takes a lot of time. We also enjoyed plenty of feedback from our visitors. People are not shy about saying what they like about a piece and what they don’t. They offer comments which can spark a trail of thoughts and might eventually lead to a whole new body of work. I had a couple of very interesting discussions along those lines and am excited to know where they might lead. On the down side however, I spent a lot of admin time on this exhibition. Preparing press releases, most of which got me nowhere; helping to design, print and deliver fliers; organising the hanging, displaying and labelling of work; writing, editing and printing out price lists and artists’ profiles. The list goes on! I also had a lot of up front costs: the hire of the space, the printing of publicity materials, the drinks and nibbles for the private view to name a few. Then, when the exhibition was on, it was down to the three of us to invigilate – that is a lot of hours sitting in the gallery! The aim of the Royal Arts Prize Exhibition and Award is to search out for and showcase artworks by artists that have embraced their individual exegesis in art, artworks that are a product of an inner balance in a world full of diversity and often chaos. An exhibition of 26 shortlisted artists for the Royal Arts Prize. The prize will be awarded to artists that present works that are the product of an emotional connection between dream and reality; we’re exhibiting contemporary art that shows the force driving individuals to express and affirm their personality and ego, through today’s modern art landscape. A winner will be selected by a judging panel made up of Art Professionals and Artists. There will also be a Visitor’s Choice Prize awarded to the Artist with the most votes by the visiting public. You enter the competition, if you are fortunate enough to be shortlisted you take your chosen pieces to the gallery and leave them there. You come back three days later for the private view where you drink their wine and eat their canapé whilst trying to look intelligent, artistic and graceful and then you swan off home and let them sell your work. You pay a fair price to enter the competition and there is no guarantee of being among the chosen few. You have no control over the publicity, except for a pdf invitation prepared by the gallery which you have to accept, warts and all. In this particular case it looked great and I was really excited by it but, given the dates on the invitation, some of my guests arrived to discover that the exhibition had taken longer than expected to hang and so they had not opened on the day they had announced! If we had been organising it ourselves we could not have got away with that. You have to accept the price that they sell your work for will not necessarily be the price that you put on it and that you sometimes have little say over that. Proof reading the invitation should be the gallery’s responsibility. On the up side, the gallery has a huge and interested client base, the private view included people that the gallery has on its mailing list, many of whom don’t know you, and so this kind of exhibition is a great opportunity for building your own customer base and you don’t pay commission for work sold. The third sort of exhibition in which I am currently involved is through my regular gallery. Tregony Gallery is what I would call the ‘slow burn’ of exhibiting. I have had work with this gallery for some time now and I like to think that we are building a good relationship. I seem to be receiving a steady flow of sales. I don’t pay to exhibit my work but they charge me a percentage on everything that I sell through them. This seems entirely fair given what they do in terms of invigilation, publicity and promoting their artists. If you get a good gallery, and Tregony is, the work just sells and you get the money – well some of it at least! I just have a responsibility to the gallery to keep supplying them with the work that they want. The customer feedback is through Brian and Judy so it is slightly less ‘in my face’. I’m not sure if that is a good thing or a bad one! All decisions about the running of the gallery are made way over my head. I’m dead certain that is a good thing! So when the gallery came up with the idea of Tregony By the Sea and asked if I wanted to be involved I was thrilled! 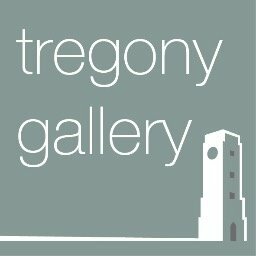 Tregony Gallery presents ‘By the Sea’, a new event showcasing the best in contemporary and traditional artists, from locals to Londoners and recent graduates. We are thrilled to be displaying new work and key pieces from a selection of our most talented artists and makers in the beautiful harbour setting of St Mawes. Visit us at; Millennium Rooms, The Square, St Mawes TR2 5AG. 9 & 10 June 2017. Alan has painted plinths, mopped brows, calmed nerves and polished vessels without a single complaint. I think I might have over-stretched myself a bit recently. I have committed to too many exhibitions and commissions in a short space of time and found myself with a bit of a problem. This blog is in recognition of the part of my team which always seems to come up with a solution to this kind of problem. He does it with more cheer than I can muster on most normal days and with greater efficiency than anyone else I know. In fact, he leaves me feeling more exhausted by his efforts than I was before but, quite frankly, I could not have got through the last few weeks without him! At other times I just wanted to crawl away and lick my wounds. he has painted plinths late into the evening; he has waited at our private view pouring wine and engaging our guests with charm and wit and he has polished my vessels. I have mentioned the wet polishing of vessels before. It is a painstaking, time consuming, messy, cold, wet, unpleasant activity! My other half has polished 21 vessels this week – at an average of an hour per vessel. Well, you do the maths! Even if I had been well and fit it would have been utterly impossible for me to get done all that needed doing unless someone took from me the load of doing the polishing. One word of warning though. He has done such an amazing job on the polishing that he might have constructed for himself a cross that he now has to carry for all time!! Alan, thank you. I found something which says it far better than I can – this is for you. I have been suffering a considerable level of Pot Anxiety in recent weeks. This is the state of stress which keeps ceramicists from their beds in the middle of the night because an idea hits or a problem resolution crystallises. At which point there is nothing to be done except to get up – sleep will elude you until the offending thought has been dealt with. The current bout of trouble stems from having rather a lot on and some difficulty knowing how to get 4 firings through the kiln before I head up to London in preparation for the exhibition at The Fountain Gallery which starts on 16th of this month. At 4:00 in the morning there are few cars on the roads in Cornwall and, as I drove the couple of miles to my current studio to swap pots and glaze things in the dark, I really felt that the world belonged to me alone. On the return journey I tuned into BBC Radio 4 and discovered that I had woken early on the perfect day. It was International Dawn Chorus day! The song birds that the BBC was recording were fantastic but imagine my confusion when I stopped the car, turned off the engine, got out and still the music played! The birds of Cornwall were all up and about and heralding the morning with gusto. I could have gone back to bed but that would have been a crime against nature. Instead I brewed a mug of tea, pushed my feet into my walking boots and set off through the woods to the little stone quay at the bottom of the hill. Through the woods the pale green canopy was still not fully out and the path was fringed with blue bells, red campion, wild garlic and with a late narcissus and an early foxglove or two completing the spectrum. The birds were giving it everything they had got – it was truly magnificent. By the time I reached the water’s edge the tide was just beginning to ebb – sucking at the stones on the slip way as it crept back out to sea. The surface of the river was as flat as a mill pond. You couldn’t really make out the colours because the light was so gentle but I could see a couple of small boats hunched over their moorings and, in the houses opposite, there was not a single sign of life. The chorus was diminishing now as the song birds all went off in search of their breakfast but the rooks and the oyster catchers were in full swing, it was a beautiful morning and a joy to be alive. I tried to record the sounds but technology defeated me and anyway, I was being far to self indulgent to try for long so here is the BBC podcast from early on International Dawn Chorus Day. If you don’t have the patience to listen to the whole thing I commend the last twenty minutes to you. You will not regret it! When I am not in the studio it doesn’t necessarily mean that I am not working on my art. Armed with a trowel and a plastic bag. Given that my art is about landscape I am often to be found wandering the countryside with a small trowel, a pocket full of zip lock sandwich bags and an indelible pen – just in case the urge takes me – but there are masses of other activities involved which are somewhat less glamorous. Social media takes up a lot of my time. Research; planning; applications for competitions, galleries, grants etc all have their place as does the designing, ordering, collecting and delivering of advertising which might or might not hit the right spot and lead to sales. This week I have been delivering fliers for our up-coming exhibition at Fountain Gallery, near Hampton Court. Each of the 3 artists involved took 800 fliers to push through letter boxes. It doesn’t sound much but, believe me, it can take hours. You need to find the posh houses, those with two expensive cars outside, because these are where the people with disposable income live. So we are talking approximately 800 security gates to decipher, 800 long drives, 4800 steps to front doors and indiscriminate quantities of gravel. I think that I have walked the length of Chesil Beach this week! Then there are the letter boxes themselves. High up and you have to jump, low down and the bag full of fliers on your shoulder swings round to give you a hefty clout on the knee as you reach down to push through. Whilst horizontal flaps can be relatively easy, vertical flaps are always a nuisance. They need two hands: one to hold the flap up and one to push the flier through. If the flap is too small you have to fold your expensive flier in half, spoiling the impact somewhat, and if too many of the springs are too strong you risk repetitive strain injury in both thumbs from forcible pushing. I have eventually learned to be suitably cautious of ‘Beware of the Dog’ signs. At one residence I saw the sign, heard the dog and assumed small because of the pitch of the bark. What I didn’t spot until he had the flier in his mouth was that miniature yappy dog’s best friend, gigantic Irish Wolf Hound, had been watching me for some time through the upper part of the door. Let me take that for you! I learned to dread the letter boxes with a flap on the inside as well as the outside most of all. Not only do you not know what is in store until you are committed to the action, but the inner flap is inclined to want to hold you prisoner causing nasty biting injuries as you withdraw your last finger and the flap snaps shut. And you can’t even shove the entire bundle into a post box and dash home because, unlike other types of junk mail, you paid for these out of the yet-to-be-seen profits of the exhibition so they have to hit their mark come rain or shine and I don’t mind telling you that I didn’t see much of the shine! The doors themselves make interesting studying. I am really into front doors at the moment as we are trying to decide on the design and colour for our house in Cornwall. It seems that grey is the colour. I did see other hues but grey is predominant and, whilst I couldn’t possibly comment on what goes on behind them, there really are 50 shades for the exterior décor of posh houses in 2017! I must have seen pale dove grey, dark satanic grey, blue grey, green grey, purple grey . . . . . . I think we might be going for bright red in St Mawes. After wearing my legs down by several inches I decided to try doing it by bike. It is a while since I rode my bike but after a few preliminary wobbles I was off up the road. It didn’t take long before I was gazing at the tarmac at close quarters though. I had forgotten the need to disengage feet from pedals when approaching a roundabout and was now face down in the middle of the road feeling embarrassingly representative of Nurse Chummy from Call the Midwife. Given my new found respect for the postie, I shall be using one of these. I have decided that, out of a new found sense of respect for the postie, I shall be having an external letter box in Cornwall. It will be positioned at a height which does not involve bending double and it will be located at the end of the drive so that the postie can lean over and shove the mail through without ever having to disengage his feet from his bike pedals as he passes by. Enjoy the link! A couple of years ago I was invited to apply for membership of the Design Factory, an organisation funded by Arts Council England which exists to promote artist integrity, raise standards and to ‘support and develop the very best designers/makers in craft practice today’. I was hugely flattered. I had only just finished my diploma, didn’t know what I was doing and was crashing around in the dark. Through their scheme of mentoring, workshops and support at exhibitions I have learned so much. Design Factory stand at Top Drawer. Now, in addition to having an artist’s profile of which I am really proud and which I could not have come up with without attending a writing workshop organised by them, I have taken part in exhibitions which I would not have dreamed of being involved with if it had not been for their support. One of which, Top Drawer, this January has done enormous things for my career, leading directly to 3 exhibitions in interesting places over the next year: This July I will be the featured maker at Hybrid Gallery in Devon, at the same time I am exhibiting alongside Debbie Barber, an established maker whose work is well known at Red Barn Gallery , one of the best known galleries in the North-west. Then, in the autumn, I will start preparations for a collaboration with artist Candide Turner Bridger for an exhibition in Norfolk at Great Walsingham Gallery next year. I can hardly believe my luck! This week, probably as a direct result of the opportunities which they have provided me with, I was informed that I have been invited to become a Flair Level member of the Design Factory which, in addition to looking great on my CV will give me even more opportunities to learn and to exhibit both nationally and internationally. I am really excited about this. It feels like a true endorsement of what I have been trying to do since I finished the diploma and it definitely promises to open doors for me. There is just one tiny problem – I think I need to get back to the studio and get making – so much to do, so many pieces to create, so little time! Time to get back to the studio and start making! I make no apology for including a mass of links and no images in this blog. The thinking being that you all just need to go and see for yourselves! I have had a lovely time this week. I have enjoyed my daughter’s dress rehearsal with the lovely Pindrop quartet, I have lunched at the Royal Academy (with said daughter), I have visited the spring exhibition at Erskine Hall and Coe where I especially loved the work of Sarah Flynn and Elizabeth Fritsch , I went to the book launch in Kew of a dear friend’s first novel (Congratulations to Mike Thexton for the Magistrate’s Son – available from other bookshops as well!) and last but by no means least, I have been at Ceramic Art London, the highlight of the contemporary ceramics calendar in the UK. Ceramic Art London was a veritable feast of talks and stands showing gorgeous work by talented makers who, without exception, are happy to talk about techniques, ideas, glazes, skills – you name it, they are willing to share. I have to say, the generosity of spirit shown by people who work in clay is greater than in any other walk of life that I come into contact with. I picked up cards from many stands, especially enjoying the work of Rachel Wood – for her delicious surface decoration, Chris Taylor – for his use of colour and decals, Chris Keenan – for being Chris Keenan! and Megan Rowden for her delicious surface texture and alternative firing techniques and I went to a number of talks. From Stuart Carey who set up The Kiln Rooms in London – The need to be able to bounce ideas around with other people when one is in the early stages of your career but the need also for a ‘Fortress of solitude’, the fact that ceramics is on the crest of a wave and we all have a responsibility ‘to get it out there; to talk about it; write about it; discuss our work.’ He had good advice about setting prices for ones work: About not underselling oneself; about watching out for (and avoiding) the ‘holes in the market’. The impact of ‘The London Effect’, especially for new artists and the need to maintain the very highest quality in everything we do. From the wonderful Kate Malone – about the flow of ideas (and glazes); about how her vast source of reference material is full of things which ‘hits her subconscious and moves her inner soul; about ‘the sense of a world in a pot’; about the ‘creative alphabet’ of the artist which is such that, whenever you see it, it just rings a bell somewhere and you draw on it time and time again; about the use of the kiln as a tool rather than a useful hot place, the very thought that for one project you might make 15 000 pieces using 5 different clays and 4 different glazes and fill 600 IKEA boxes in the process! The idea of brinkmanship when making. Not sure who said it but I am sure it is essential that one pushes everything to the limits. It’s about hands, about fingers, about touch. (Kate Malone). Yes it is!